In an unbelievable twist (not really), the first Democratic Party debate for the 2016 presidential election kicked off with a debate of capitalism vs. socialism. What country are we living in? Isn’t capitalism, which has delivered countless Americans from poverty, a cornerstone of the foundation of our country and the American Dream? But, this wasn’t the only time that the Democratic candidates espoused views that are entirely out of the mainstream of America, and, frankly, Colorado. The debate moved on to gun control where most of the candidates tried to out-gun control one another. Former Maryland Governor Martin O’Malley claimed an “F” grade from the National Rifle Association whereas Socialist Sen. Bernie Sanders has just a “D-“. Again, not the qualities that Coloradans are looking for in a Presidential candidate. We are going to guess that “clean energy” is a euphemism for Democrats’ crony capitalism of green energy. But, Colorado is a state that depends heavily on the oil and gas industry for jobs. O’Malley’s sentiment is nice, but is this really something is realistic and that makes sense for Colorado? O’Malley’s stance was in sharp contrast with that of opponent Jim Webb, who claimed he is for an “all of the above” energy policy. 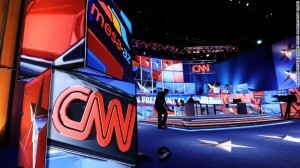 Even Anderson Cooper questioned whether Webb’s policy was “out of step” with core Democratic voters who are screaming to punish traditional energy sources. Hilariously, each candidate also identified college affordability as a top issue, yet failed to recognize the role of liberal policies in creating this dilemma. If this debate showed voters anything, it’s that Democrats have no clue how destructive their policies truly are to the middle class and to economic growth. And, that lack of self awareness is why each is unfit for the presidency.